Windows 10 Anniversary Update is the official name of a big update for Microsoft's newest operating system that the company will make available in Summer 2016. Formerly known as Redstone, it is a massive update that will introduce new features and changes to the operating system. The Anniversary Update is a free update for all devices running Windows 10 according to Microsoft. This includes non-PC devices such as the company's Xbox One console. The following paragraphs provide you with information about the upcoming anniversary update. We will update the article as new information become available. Microsoft has yet to reveal the final release date of the Anniversary Update for Windows 10. The company stated that it will come this Summer which could mean as early as June 21, 2016 or as late as September 21, 2016. Since Windows 10 was released on July 29, 2015, it seems unlikely that Microsoft will push out the anniversary update before July 29, 2016. It could pick that date for the release, or push it out on the first Patch Day afterwards which would be August 9, 2016. As mentioned already, the update is free. Windows Insiders will receive the Anniversary Update, and tidbits here and there, before it will be made available to the masses. 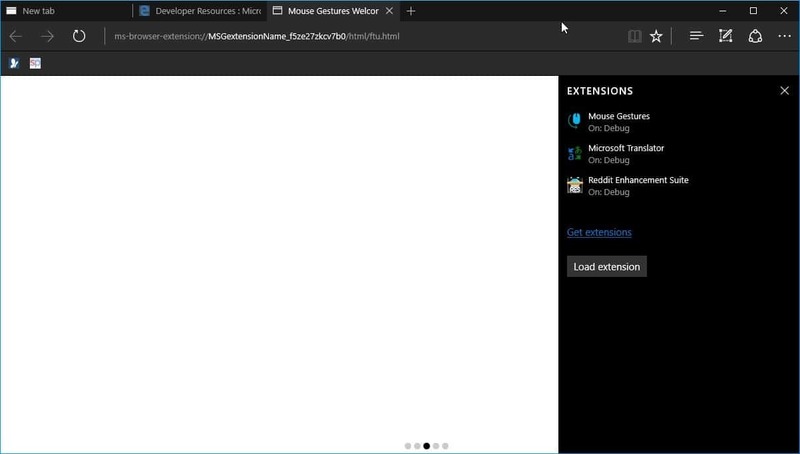 Features such as Microsoft Edge extensions are already being tested on the Insider Channel. Microsoft is betting big in Cortana, the virtual assistant. Cortana will come to new regions in the world including Brazil, and it will be integrated even deeper into the operating system. This starts with the lockscreen, as Cortana will be accessible on it directly without users having to unlock the system first before they can start to interact with the AI. Using machine learning and research in natural language, Microsoft wants Cortana to converse naturally with humans, and to provide better assistance at the same time. One example that Microsoft showcased during the Build 2016 Keynote was Cortana adding an appointment automatically to Calendar after reading an email detailing upcoming flight information. Core apps, like Skype, will gain access to Cortana and Bots as well, and the idea here is basically the same. AI will pick up information during conversations and process them to assist the user. This may go even as far as helping the user book a hotel room or flight when the topic comes up in a conversation. 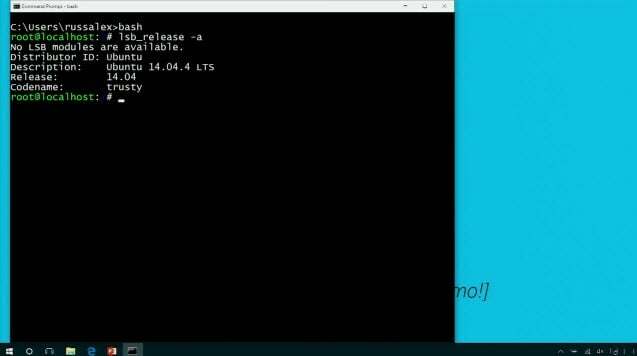 Designed specifically for developers, the introduction of Linux Bash on Windows 10 is something that all users can benefit from. Microsoft calls the integration Windows Subsystem for Linux, and it is a native implementation. This isn't Bash or Ubuntu running in a VM. This is a real native Bash Linux binary running on Windows itself. It's fast and lightweight and it's the real binaries. This is an genuine Ubuntu image on top of Windows with all the Linux tools I use like awk, sed, grep, vi, etc. It's fast and it's lightweight. The binaries are downloaded by you - using apt-get - just as on Linux, because it is Linux. You can apt-get and download other tools like Ruby, Redis, emacs, and on and on. This is brilliant for developers that use a diverse set of tools like me. The default system browser is a basic browser in its current state. While it performs well and supports many of the newer technologies on the Web, it lacks options and tools such as extension support or better privacy controls that many users expect from a web browser. Support for browser extensions. According to Microsoft, it will be dead easy to port Chrome extensions to Microsoft Edge. Windows Hello support to add biometric features to the browser which enable you to sign in on websites or to services using facial recognition or fingerprints. Improvements to the new Tab Page, including options to pin and remove sites, and to move tiles around, and better news feed customization options. Option to delete browser cache on exit. Set a custom download folder. Tabs can be pinned in Edge. Many under the hood stuff, such as support for new APIs, out of process Flash, web notifications or device profiles. Microsoft continues to bet big on pen and ink support on Windows 10 by introducing several improvements that will come out with the Windows 10 Anniversary Update. Among them better sticky notes, and there specifically recognition of what is being written. This is very similar to how Cortana and Bots improve conversations and provide assistance. Basically, Windows Ink services will be able to pick up cues such as words or phrases defining time, to process them and assist the user. For time-based information, these could for instance be added as appointments in the calendar application automatically. There is a new Windows Inking Action Center panel, better Office integration (proofreading improvements were demoed), new virtual ruler support, and more. Microsoft demoed a conversion tool called Desktop App Converter during the Build 2016 Keynote that has been designed to convert desktop programs into UWP applications. The company showed how it is done with two games, Age of Empires II HD and one of 2015's most successful PC titles The Witcher 3. 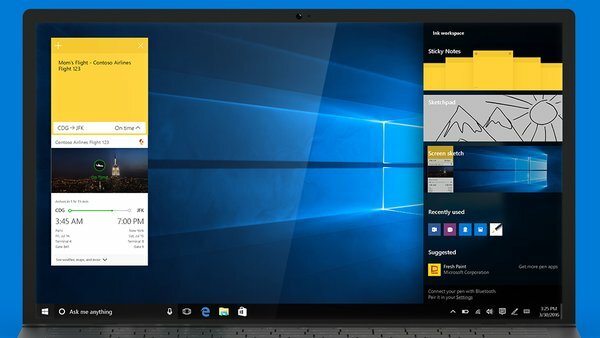 Programs converted this way will benefit from all UWP features including Live Tiles and integration in Windows Store. It is unclear at this point in time if the Desktop App Converter can convert any program to UWP, or if there are limitations. What's almost certain however is that we will see an increase of desktop programs turned into UWP applications when the Windows 10 Anniversary Update comes out. This may take care of some of the criticism surrounding Windows Store, and there especially the lack of desktop program listings. Microsoft announced a bunch of new apps and games that will come to Windows 10 soon, including Uber, Vine, Bank of America, WWE or Starbucks. The company made it clear furthermore that it plans to bring all of its Xbox One games to Windows 10. Revamped Start Menu that displays all apps on the front directly. 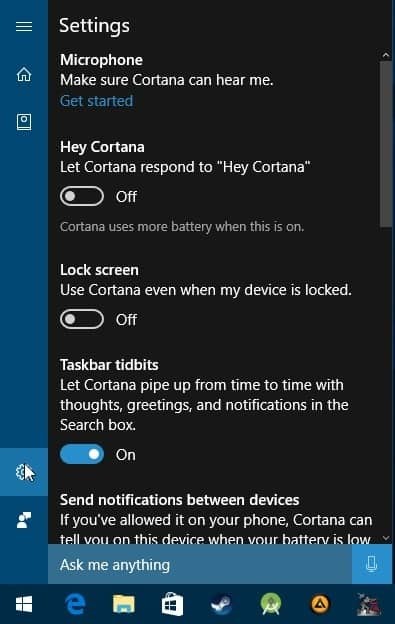 New Keyboard shortcuts: Windows-Alt-D to open the taskbar clock, Windows-F to create a screenshot and send it to the Feedback Hub, Windows-Shift-C to open Cortana in listening mode. New applications Quick Assist and Skype Preview. Lock Screen changes: email address is not displayed anymore, Cortana is available. New Active Hours feature for Windows Updates. Now You: What's your take on the Anniversary Update? Isn’t the point of the lockscreen to prevent access to your device when your not there? Seems like a school boy error and opening the door to exploits to allow people to interact with Cortana from a part of the OS that’s meant to prevent unauthorised access. It is probably done because it is convenient, as you don’t need to unlock your device first before you can do things like start or stop music, ask Cortana questions and so on. It all depends on what you can do and what Cortana and other apps reveal about you. I was thinking the same thing, Corky. I lock my computer and then any of my co-workers can walk up to my PC while I’m at lunch and ask Cortana to make appointments on my calendar, or worse? Gee, what could possibly go wrong? If it’s anything like Windows Mobile, Cortana requires you to type in your passcode when performing an action, but not for simple questions. So if I ask her to send a message under the lock screen she will write the message, but will prompt me for my passcode if I ask her to send it. So nothing of real value. More ads (from facebook, hahaha, of all the bad guys they chose the worst), more tracking via their useless voice assistant, some improvements to some of their ‘universal applications’ and nothing to fix what’s actually bad with the underlying OS, the only component that actually matters in all that 3GB iso file.. I’m speechless (or not, I wrote this entire message) they’re making it worse with each iteration. The one feature I applaud is the Bash sh integration. So Microsoft is not only providing the incentive to move to Linux, they are now making the transition that much easier by offering a head start. It’s conspiracy theory time again (oh, boy)! Microsoft is currently offering Windows 10 as a free update (I just can’t call it an upgrade) to Windows 7 and 8.1 users until July 29th, 2016. It’s been widely speculated for months that a great many of those users are holding off switching to Windows 10 until the next major release this summer in order to get a more stable, more feature-laden version of W10 and to avoid dealing with many of its growing pains in the meantime. But what happens if Microsoft delays the release of the Anniversary Edition until after the free offer expires? Their announcement clearly says “The Anniversary Update is a free update for all devices running Windows 10” only. Could this be another less-than-subtle attempt by Microsoft to force faster adoption of W10 before the July 29th deadline just to inflate their installed user base, and to take a huge step toward their artificial goal of a billion+ W10 device installs within 2-3 years? None of this is appealing to me. On the contrary. I’m not interested in Cortana, Edge etcetera at all. Descriptions like (about Skype and other elements) ” AI will pick up information during conversations and process them to assist the user” only show the utter creepiness of this OS being permeated with continuous close monitoring of the user’s personal behavior, and then collecting private data for “telemetry”. I most certainly want none of this: I never will sell out my privacy in exchange for the privilege of “easier” hotel bookings pre-cooked by Microsoft’s commercial partners. As for running Linux software, I’m not a developer so guess what? I use my installed Linux OS for that. I agree that native bash integration and apt-get is brilliant. The rest of the changes are mostly irrelevant or concerning. Windows 10. What Windows 10? As many perhaps I’ll switch between now and 2020 to Linux. Switch now, why wait? What could be holding you back? Install virtual box and start testing, or better yet, install mint, it can load its own bootloader so you can dual boot. Sounds pretty creepy to me. Can’t people make decisions about their schedule by themselves anymore? Will Cortana go to the meeting as well? How long will it take before the user is completely superfluous? Anyway, what I want to know is how you plan on celebrating the anniversary of the first malware OS. Any ideas, Martin? Will it read Linux file systems? Linux will read Windows file systems. I have fought with Windows and drivers for ext2/3/4 file systems since XP. Will it let another OS live on the same hdd as Windows? As in MBR. Bet it is NO to all the above. Ubuntu is now in bed with Microsoft? This might not bode well. What I suspect is really a shim for bash is not enough to draw most folks away from Linux. It’s almost laughable if it wasn’t scary. Sure all this high speed low drag stuff sounds good to some folks but there are some underlying issues. I have about as much use for Cortana as I do live tiles. I understand there are some that need that tech (cortana) to utilize the computer. Keyword is “some” not “all”. A resident bot on my PC does not light my fire in any way. My first thought is “All I want to know is how to turn it off”. I have been of the mind that I would wait to install 10 after some of the bugs had gotten worked out. Like around May/June. The more I see the less I want to install it. If Cortana is as Bi-Polar as the OS it resides on appears to be then you might wind up with “Tay” on your desktop…. Cortana & bots are privacy violations, don’t want. Would like to completely uninstall those. I neither have a webcam or microphone attached, that might lessen some of the functionality with digital assistants. Ubuntu used to have a neat feature where you could run that on top of windows, I think it was called WASD. Bash on Win sounds similar but with commands instead of a GUI element. I am trying Fedora 24, pretty stable but Gnome desktop is weird with the layout more like OSX (Taskbar on top) and this thing has tiles also & no menu. I don’t want to talk to my computer, or my toaster, or refrigerator, or oven, etc… as Windows 10 IoT gains ground. I also don’t want them listening to me. The entire concept is creepy. ddk, I think you’re referring to Wubi, a program that installs Ubuntu as just another Windows program. Right, it was WUBI & pretty neat, Mint had that also. Look for ads all over the place even on your windshield as vehicles will not need human intervention. The upside might be doing other tasks or even watching TV while traveling. Win 10 is giving us a glimpse of a dark & invasive corporate future. We just get closer and closer to the Matrix with each passing year. Many apps are not working either. what(!?) how industrious, Cortana is going through our emails now? “AI will pick up information during conversations and process them to assist the user.” I have already remove the microphone and camera from the computer thanks to the spying scandal, metadata my ###. Cannot say that I am all that thrilled with the features denoted in the article, I just want the operating system to function better. One day, robots will replace us at work, and AI will talk for us, of course to other AI, and eventually, AI will realize that it does not need us at all anymore. Imagine living in a world where super computers that are situated in strategic locations around the world run such powerful AI that there will be no more need for the existence of government, the computer system will be able to factor in far more variables than any person nor group of people could possibly ever hope to arrive at, basing it’s actions not on the whims of the fallible rich fat-cats that we have in government today but on the analytical input that it receives from the ever changing circumstance of the planet. This is why I concur with the philosophy that underlies the tenets that are advocated by The Zeitgeist Movement. …is linked to Canonical, known to me because they develope Ubuntu and once insterted a CALL-HOME ninfty feature on any “local searches”… Spying that was removed quickly. apt-get YEAH so cool, but wait because BASH on linux does a lot, it does so much that it can destroy a system… Are the security flaws been tested? I sense the smell of big holes in the system with this new feature that isn’t new at all. CYGWIN and MinGW do exist. Someone doesn’t know what BASH is and more importantly what you won’t be able to do with it. Initial response was same as you guys, more bloat. In theory the concept of an app tied to a Calendar doing fill in work is ok, but it’s the surrounding part that’s so iffy. Even the Edge improvements will take shakedown to get users away from Chrome. At very best maybe get access to a game or two. I mean really now this is what it comes down to? So far a stripped down Windows 10 x 64 Pro in desktop mode does work decently. Tried the modern/titles. Why bother. I thought Microsoft called Linux a “cancer”, and now they want to integrate that “cancer” on Windows? Windows Bloated Anniversary, i don’t like this, i will go back TH2 it’s more clean.